It looks like WB/ New Line made out like bandits in their deal with Paramount Pictures that saw them offered up the rights to Friday The 13th and, in turn, receive a chunk of the movie Interstellar. 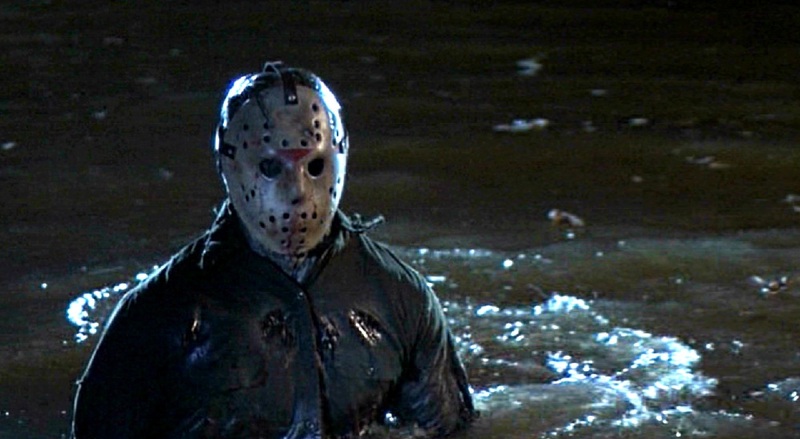 See, Paramount was unable to execute a Friday the 13th film in the allotted time (five years), which means that come 2018 the rights go back to WB/New Line and the wheels are already in motion for when Jason returns. The reason that Paramount got cold feet on a new Friday the 13th was because of the poor box office returns for Rings. The studio assumed that horror was no longer a safe bet and didn't feel comfortable losing 20 million on a Friday the 13th movie. However, over at WB/New Line the opposite is ringing true for them, with IT breaking horror records they are ready to jump back in the horror lake head first. It appears the plan, as of now, is to continue on with IT: Chapter 2 then once the rights revert back they will fast-track an original Friday The 13th film and shoot for November 13, 2020 to hit the 40th anniversary mark. As of this time it is unknown if Platinum Dunes will have any involvement in the upcoming film, but it's looking like they nor Paramount will have anything to do with the project. We will have more over the coming months and years as the film materializes, but for now lets just enjoy the fact that Jason will be back in the hands of a studio that appreciates him.